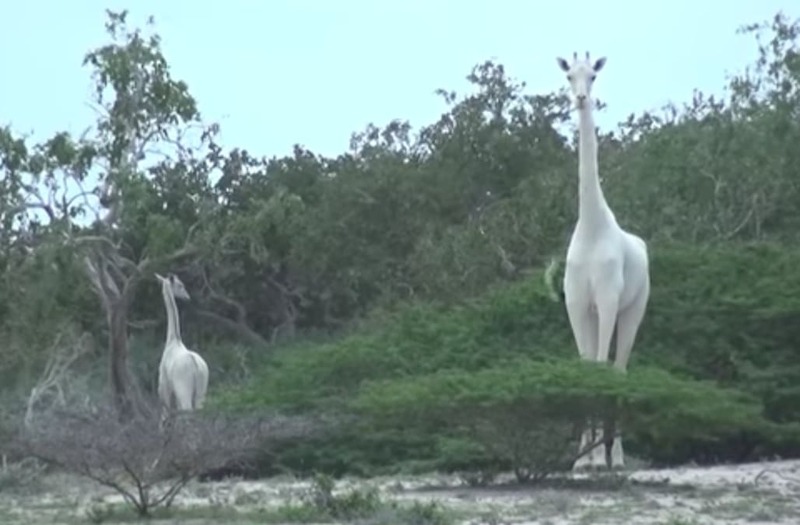 Magical creatures may not exist, but at least we all have the chance to see the next best thing: a pair of white giraffes. The mother and calf were spotted in Garissa County, Kenya, where a visitor at the Ishaqbini Hirola Conservatory captured video when they noticed the beautiful animals casually strolling through the area. They both have a genetic condition called leucism which reduces their ability to produce pigment. The condition may still show some outlines of the animals' original patterns, which is why some spots may still be visible. You really never know what you might find in the wild.